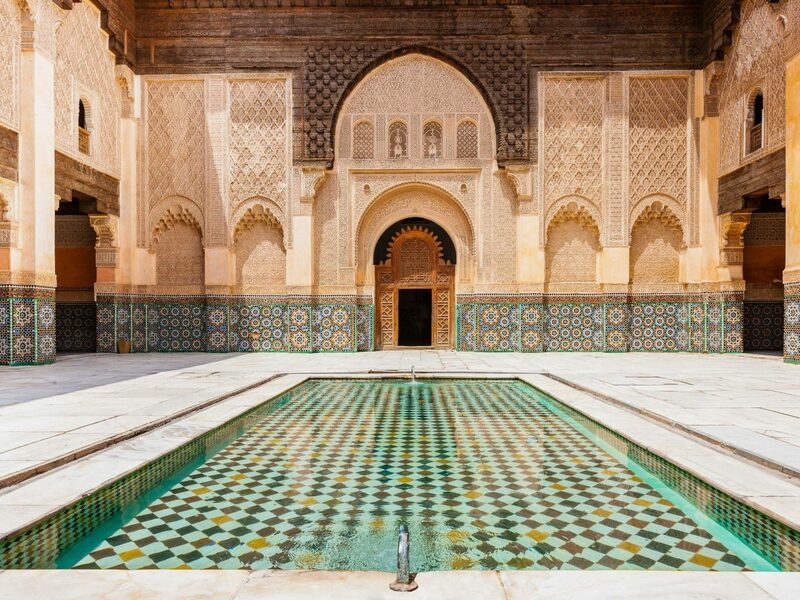 It’s no secret travelers with an eye for design flock to Morocco. 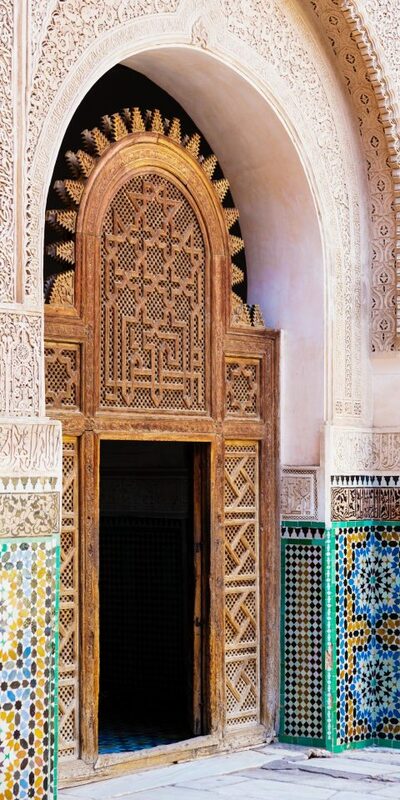 Artists, interior decorators, shop curators and fashion designers (most famously Yves Saint Laurent) have traveled to the North African country for decades in hopes of finding inspiration and filling empty suitcases with hand crafted goods. 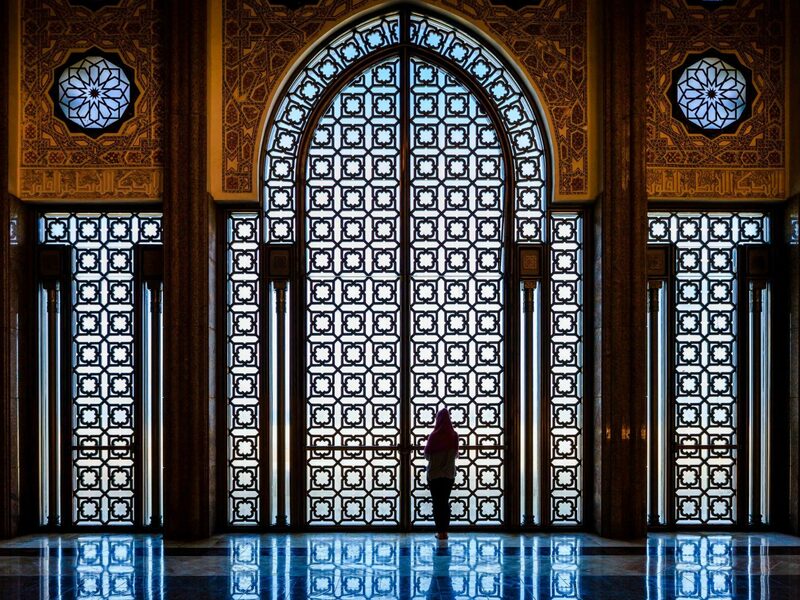 If you’ve scrolled through your Instagram feed lately, you’ve undoubtedly come across pics of this architectural gem, with its carved cedar, intricate mosaics and stunning marble columns. 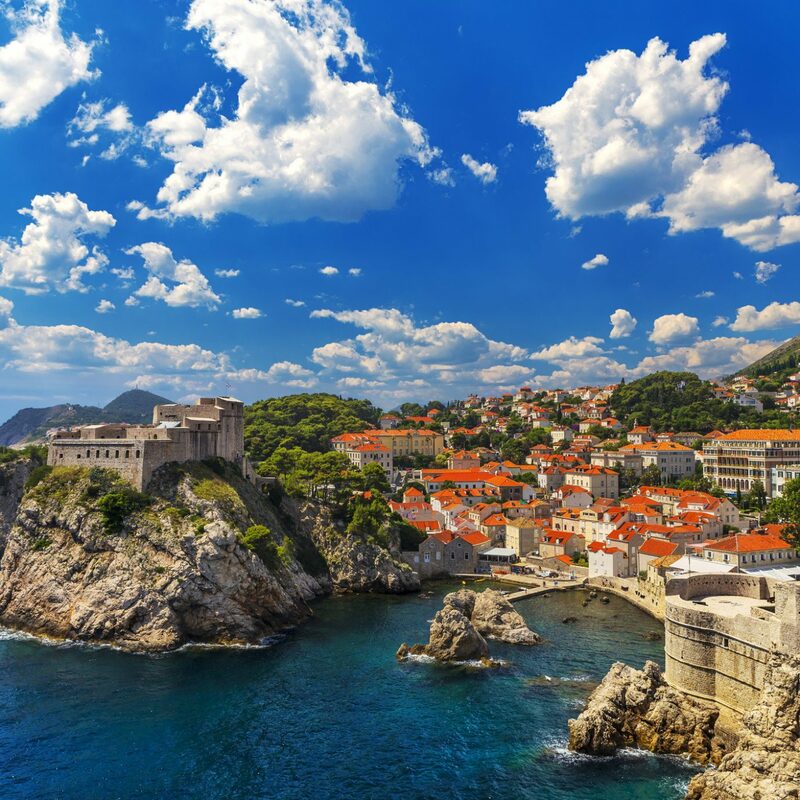 It’s hard to believe that a place so beautiful was once a dormitory for a local Islamic college. 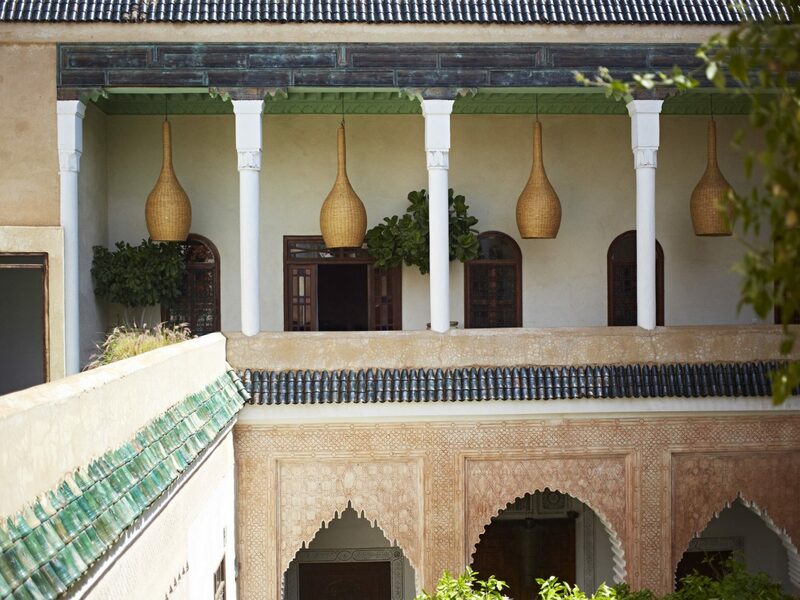 For those with an interest in design, this masterpiece of Saadian architecture is an essential stop and an ideal respite from the chaos of the nearby Medina. 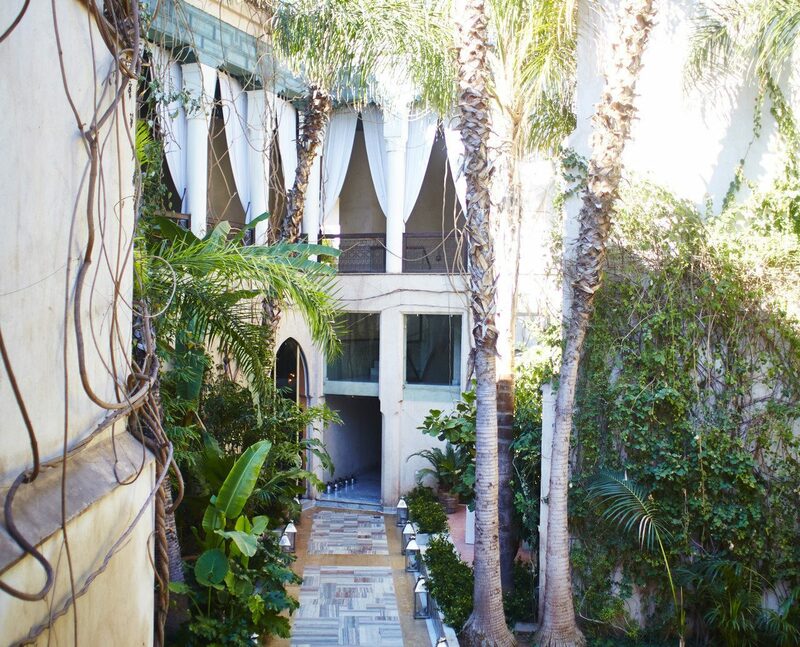 Tip: Make sure to go in the early morning when you’re more likely to have the place to yourself -- and don’t miss the chance to get lost in the museum’s upstairs rooms that overlook the courtyard. 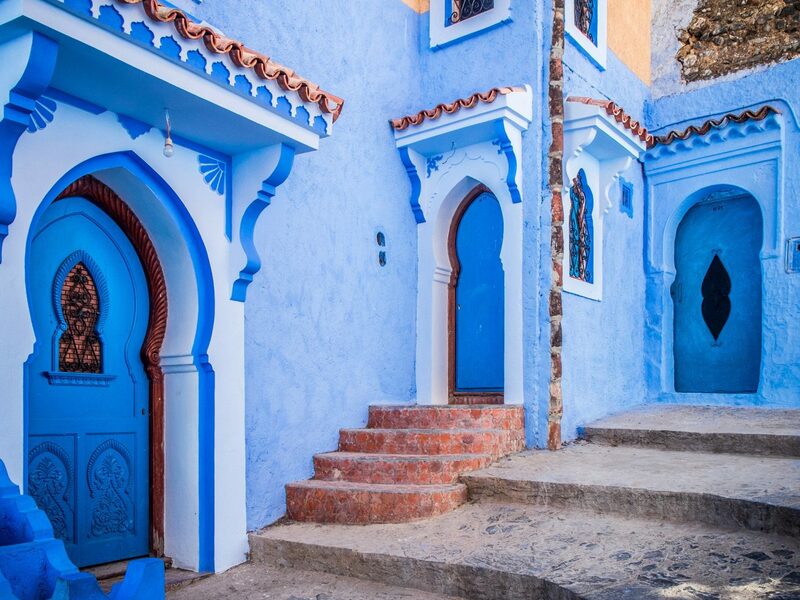 The northern Moroccan city of Chefchaouen is what every artist’s dreams are made of. 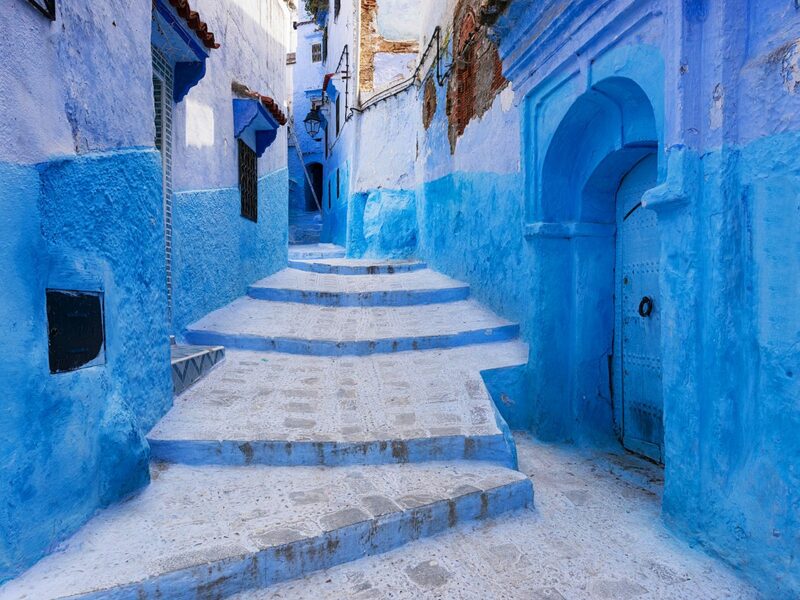 Washed in varying shades of blue, the town's alleyways move from cobalt and cerulean to baby blues and more purple inflected varieties. 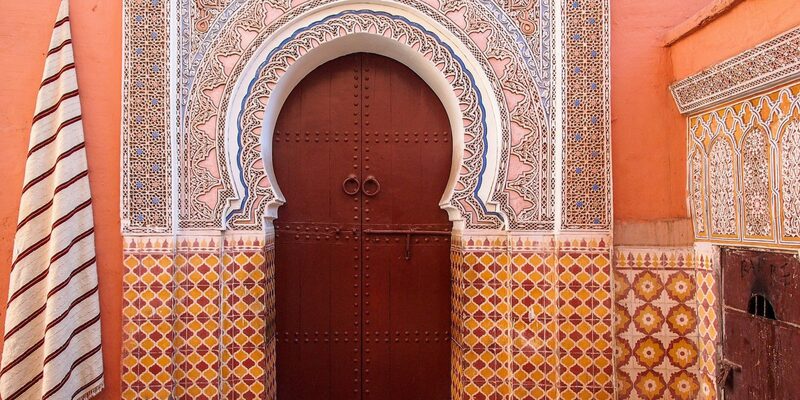 Even better than the overwhelming color are the unique Moroccan doorways throughout the city, each with their own individual shape, decoration and again - hue. 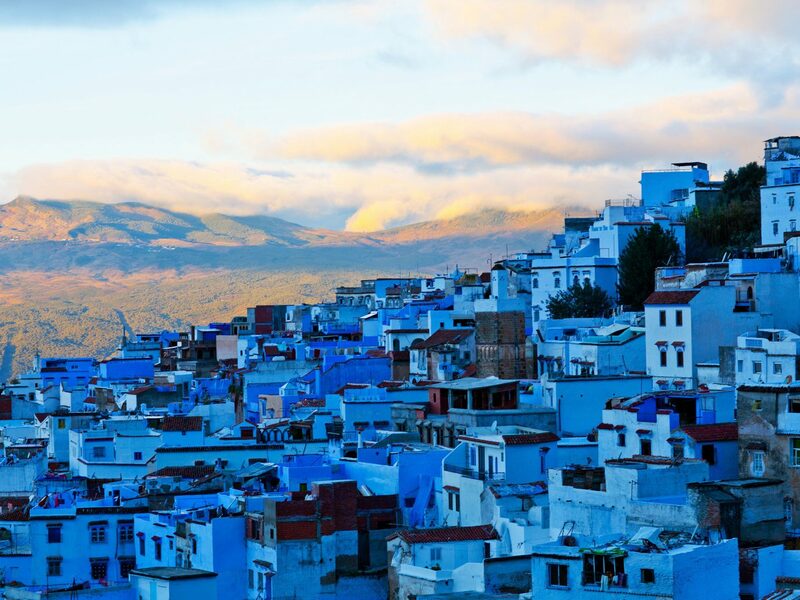 Exploring the entirety of Chefchaouen can be done within a couple of days, but don’t miss the chance to take in the city from above. 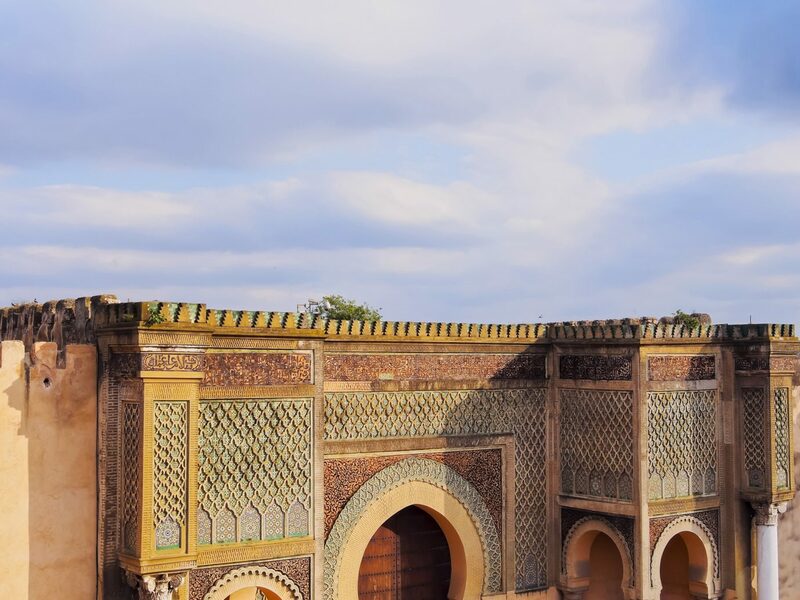 The rooftop at Aladdin’s Restaurant is a good spot to do so, but get there early to snag the best seat to watch the sunset. 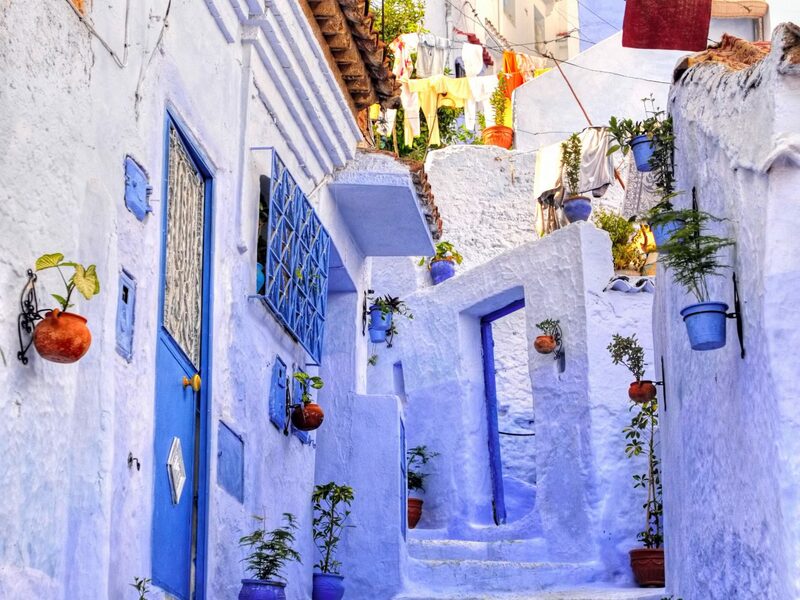 Set about 5 minutes drive outside of the Medina, Rue Yves Saint Laurent has grown well beyond the Majorelle Gardens that initially drew crowds to this more modern neighborhood in Marrakech. 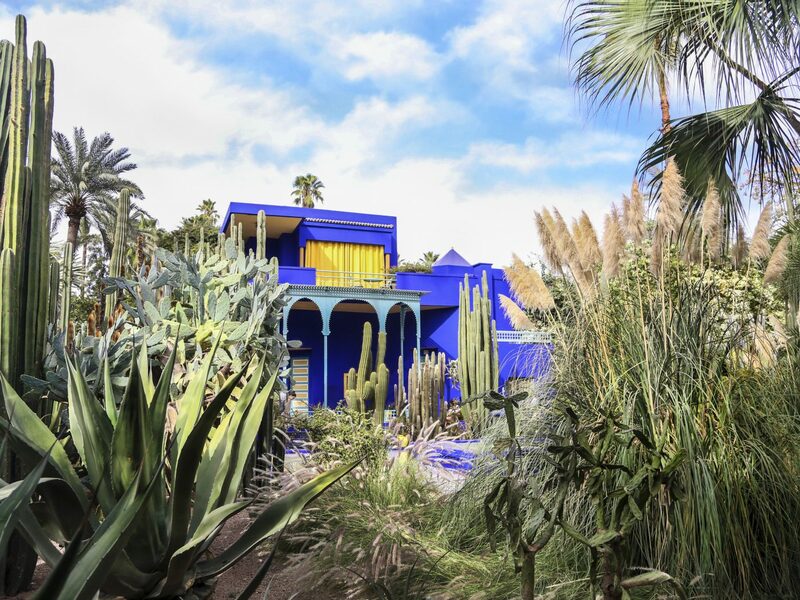 The popular botanical garden (home to 300 different plant species including bougainvillea, agave plants and weeping willows) and adjacent Berber museum was originally opened in 1947 but became popular in the 1980s after Yves Saint Laurent and his partner Pierre Berge converted the place into a hotel. 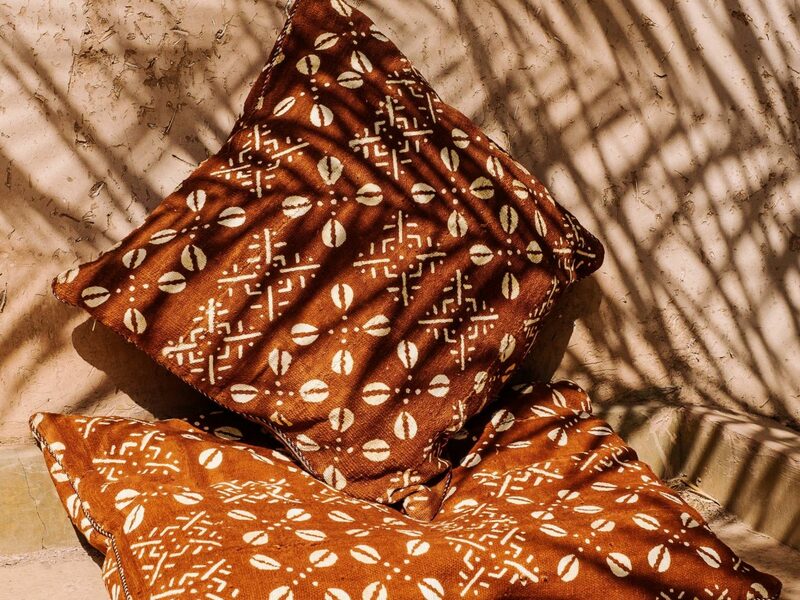 Down the street, 33 Rue Majorelle has been luring discerning shoppers to its well curated concept shop to stock up on treasures by a top notch selection of Morocco’s up and coming designers. 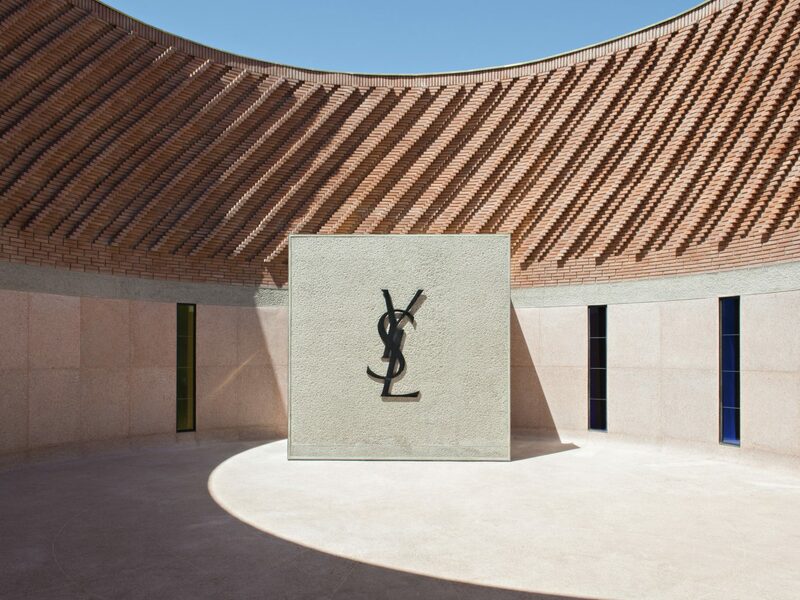 The latest addition to the block, Musee Yves Saint Laurent, is slated to become the most popular stop of them all. 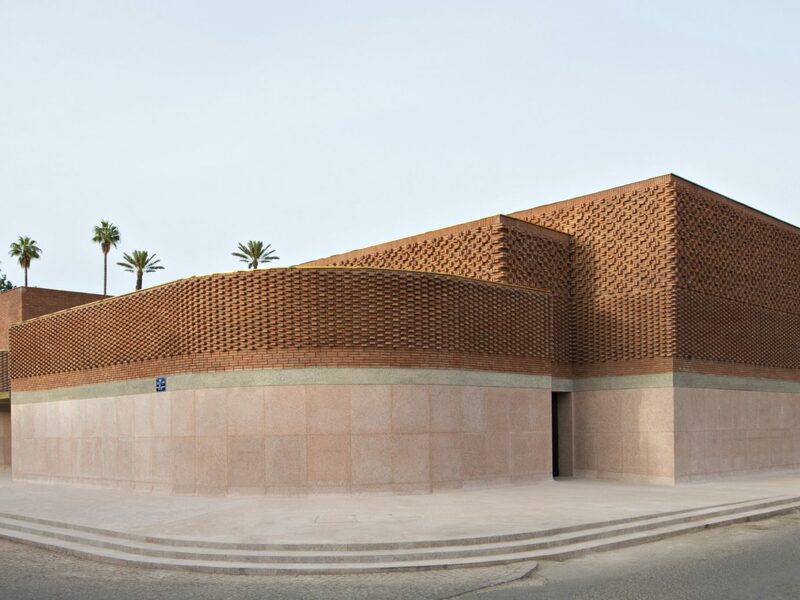 The 45,000-foot space, which just opened last fall (10 years after Saint Laurent’s death), is the first museum in Africa to be solely dedicated to fashion. 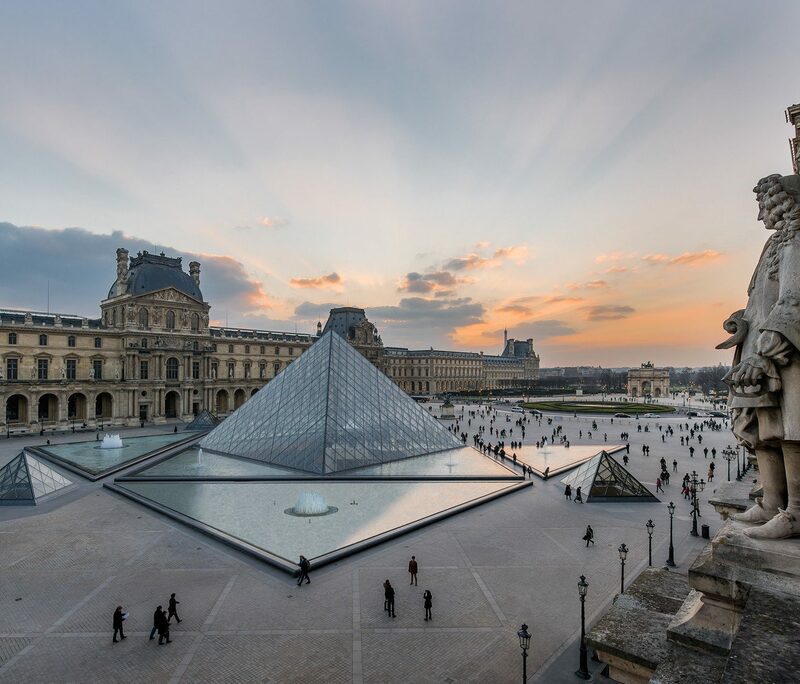 Designed by Parisian architects Studio Ko, the building's facade is reason enough to visit, but those with a love of style can delve deeper into the works and inspirations of Saint Laurent through a retrospective of his greatest creations. 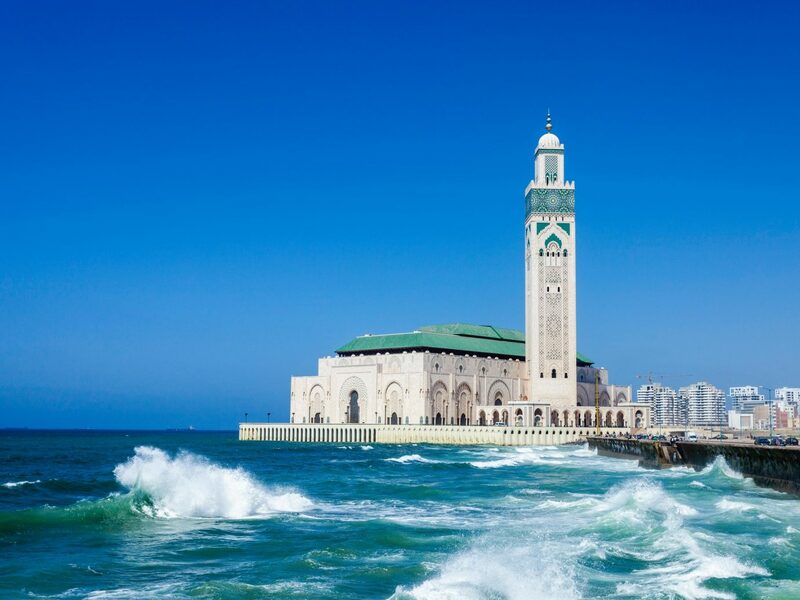 Rising high above the Atlantic Ocean in Casablanca is the Hassan II Mosque -- the largest mosque in Morocco and 13th largest in the world. 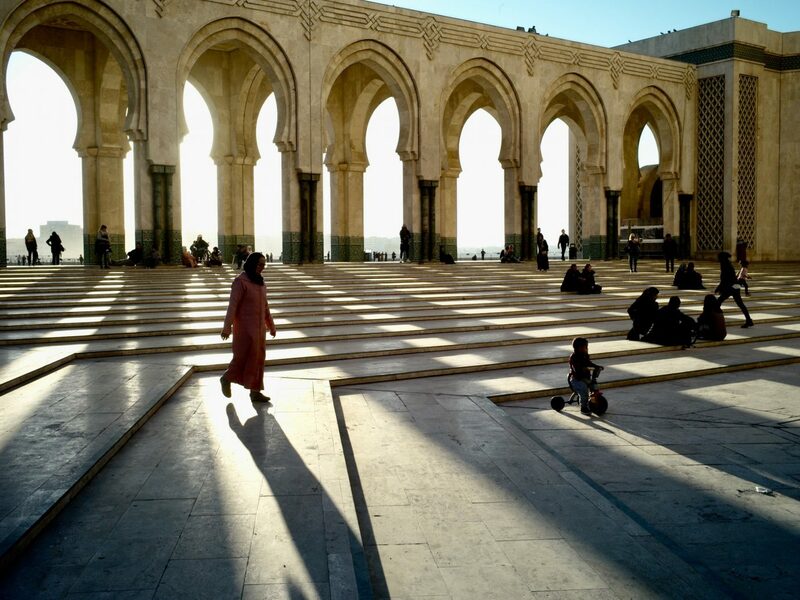 The Islamic structure was constructed with the help of 6,000 workers and artisans who sourced all materials -- save for the stained glass and chandeliers -- from various areas of Morocco (the granite is from Tafraoute, the marble from Agadir, and the cedar from the Middle Atlas). 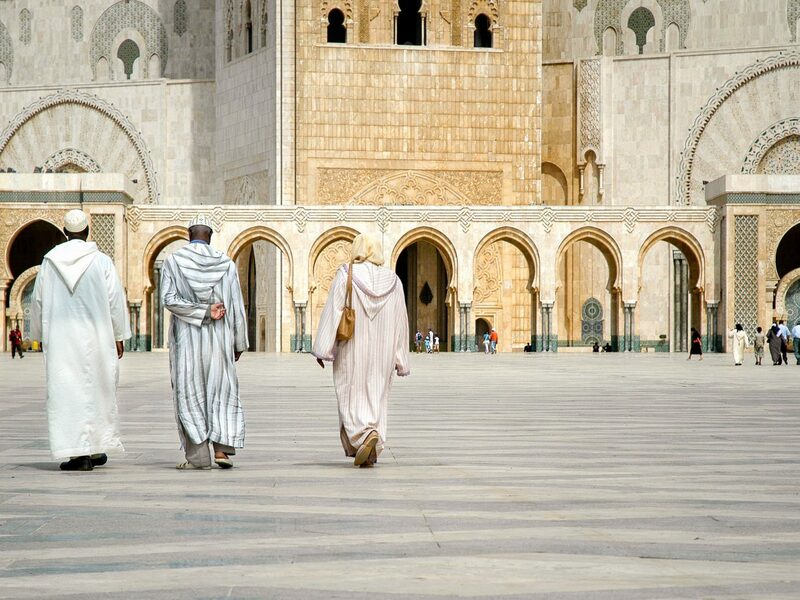 It can hold 25,000 worshippers within its walls -- and another 80,000 on the outside grounds -- and its minaret, which serves as a beacon rising high above Casablanca, is the world's tallest. 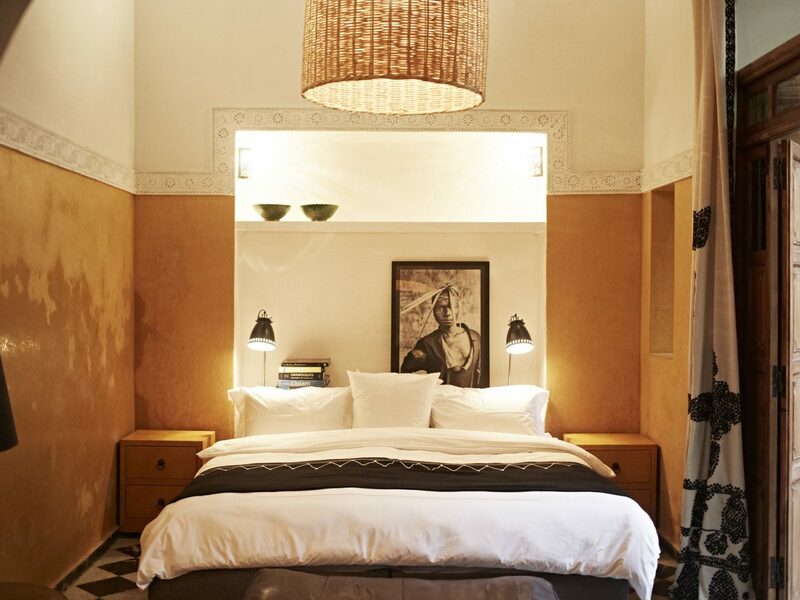 Anyone with an eye for design will marvel at the carefully selected interiors of one of Marrakech’s most beautiful boutique riads, El Fenn. 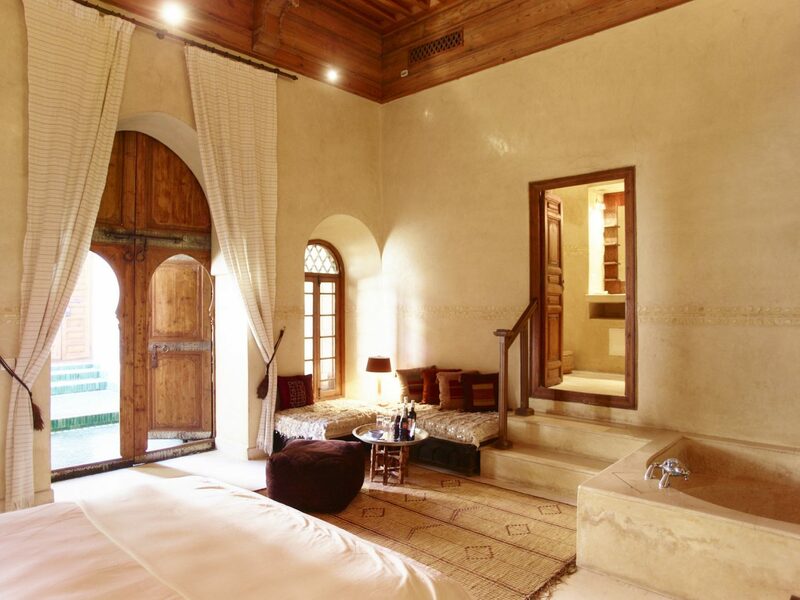 Founded by Vanessa Branson (Richard Branson’s sister) and her business partner Howell James in 2002, the hotel has 21 rooms decorated with contemporary artworks from Branson’s extensive private collection, each with its own unique layout, design direction and color palette. 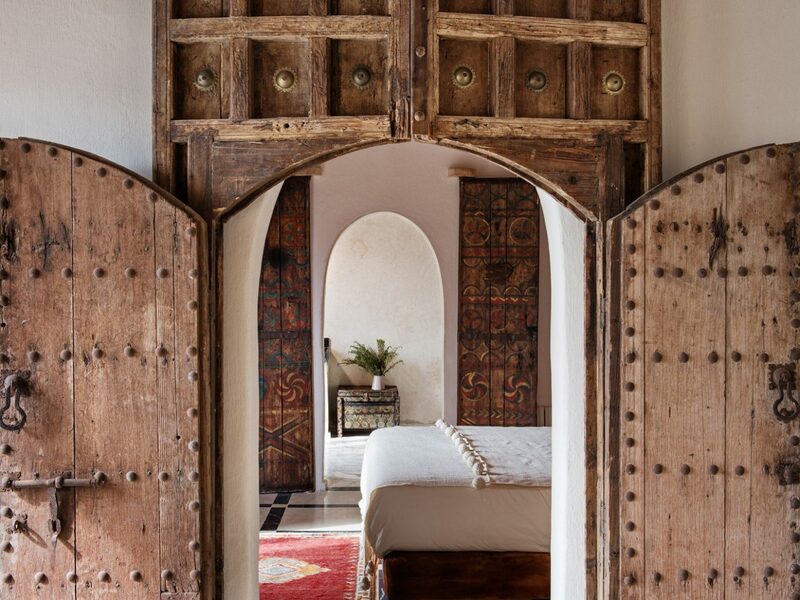 Beyond the rooms, every nook of the property -- and there are many -- offers a fresh opportunity to explore a different take on Moroccan design. 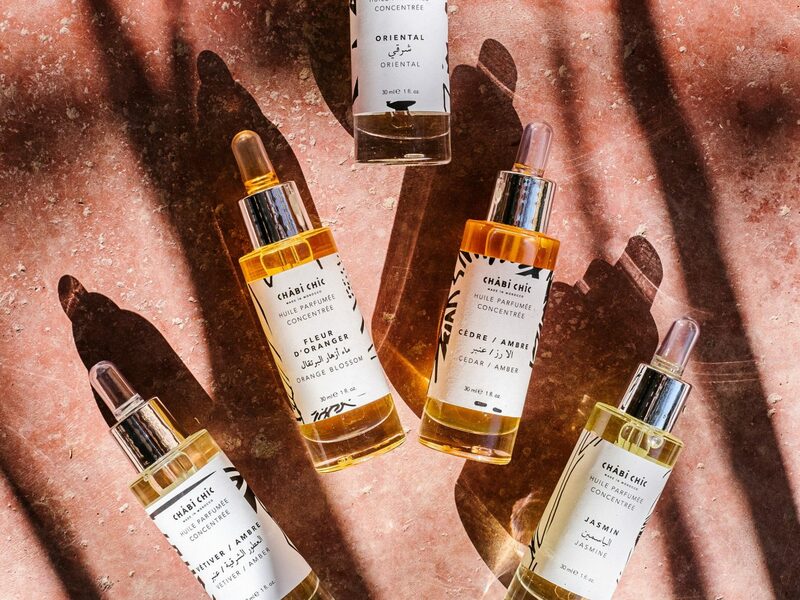 Don’t miss the first-floor boutique, which doubles as a restaurant/bar and is curated by general manager Willem Smith and Paul Rowland (of Ford Models fame). The duo have created a dreamy retail space which showcases vintage-inspired clothing and accessories by the best Moroccan designers. 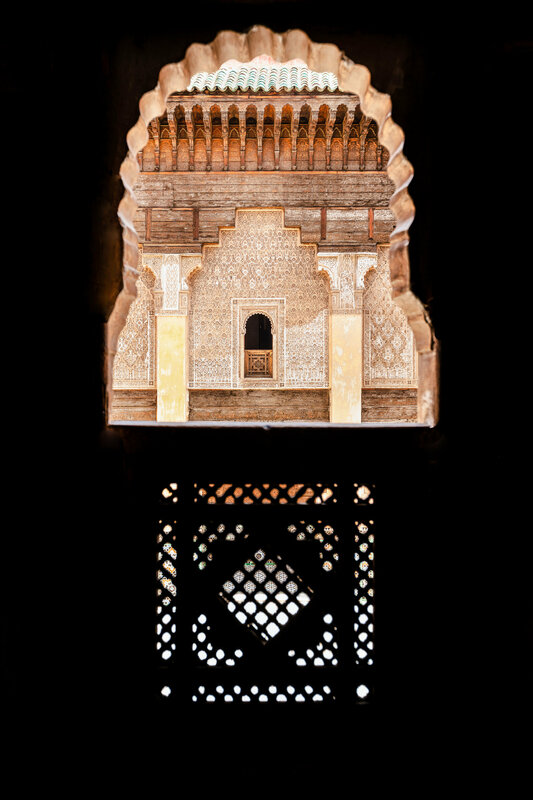 Not far outside of Fes is the less traversed historic city of Meknes -- one of four imperial cities in Morocco. 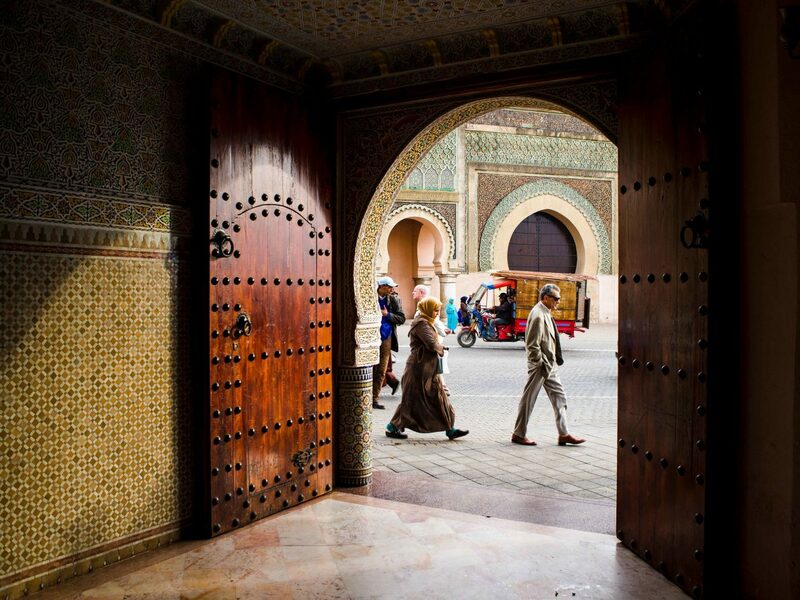 Listed as a UNESCO World Heritage site, the Meknes medina is worth exploring, but it's the 18th-century Bab Mansour Gate which truly awes visitors. 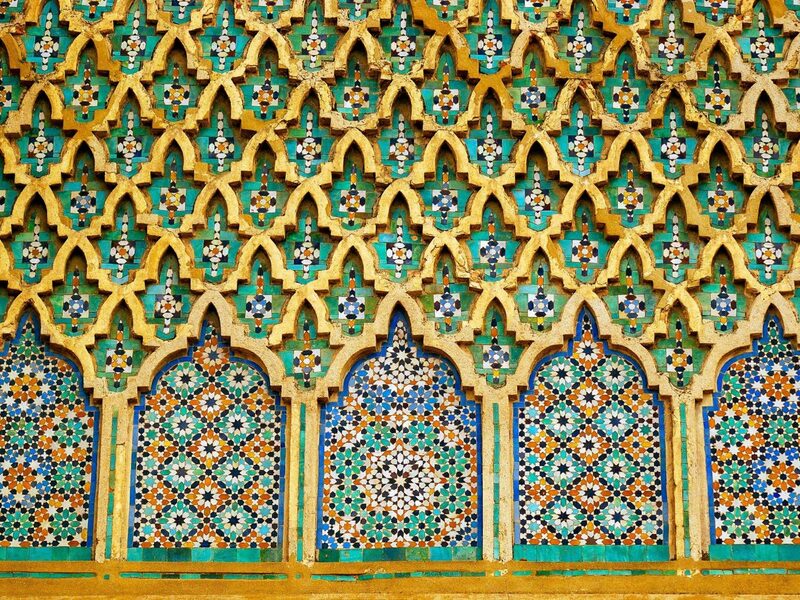 It's just one of 20 gates that line the city, but stands out for its bold green zeillij tiles and engraved Koranic panels in the Almohad architecture style. 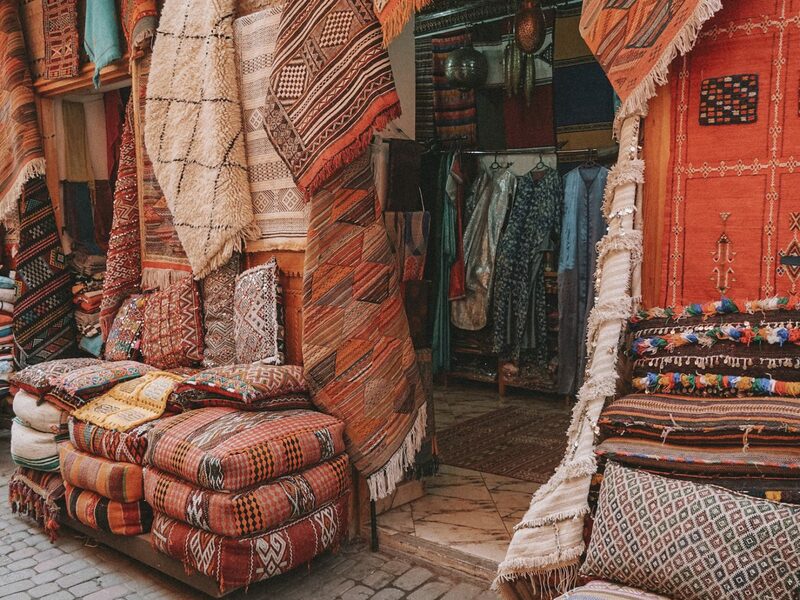 Taking a stroll through the Souk (direct translation, the market) is likely on everyone's Morocco itinerary, but it's crucial to know where to start. 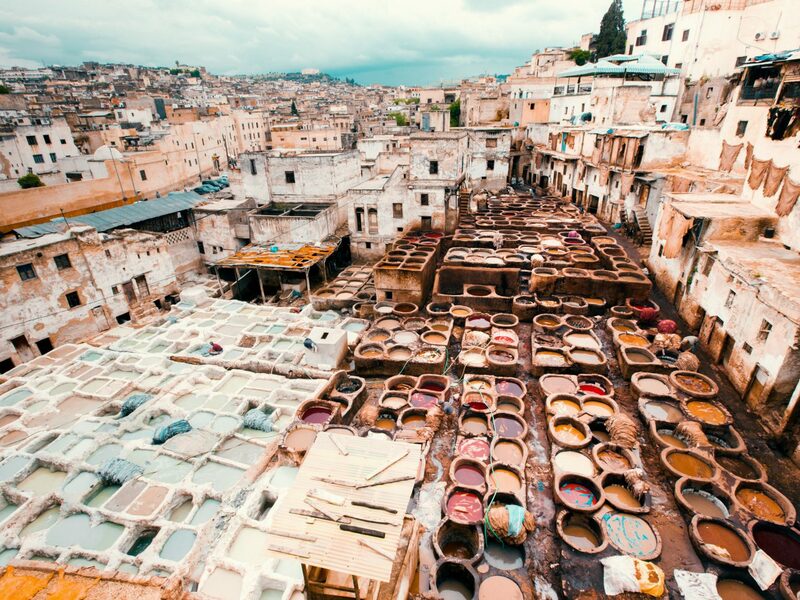 Getting lost in the Medina can seem like an endless deja vu trip, which is why knowing where to go can be as valuable as scoring a Moroccan rug. 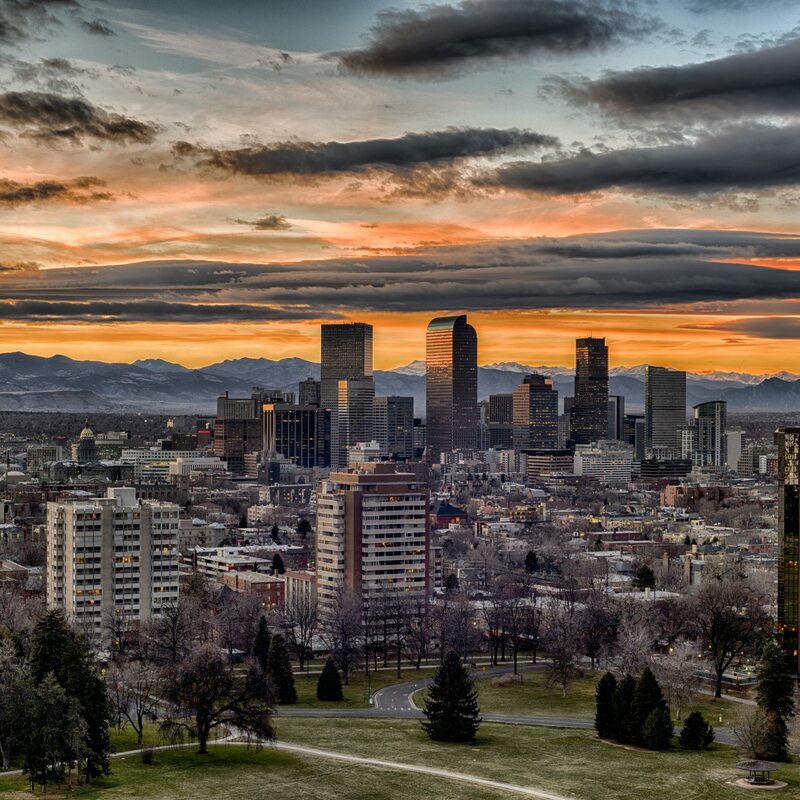 Start at Chabi Chic, with three locations throughout the city. 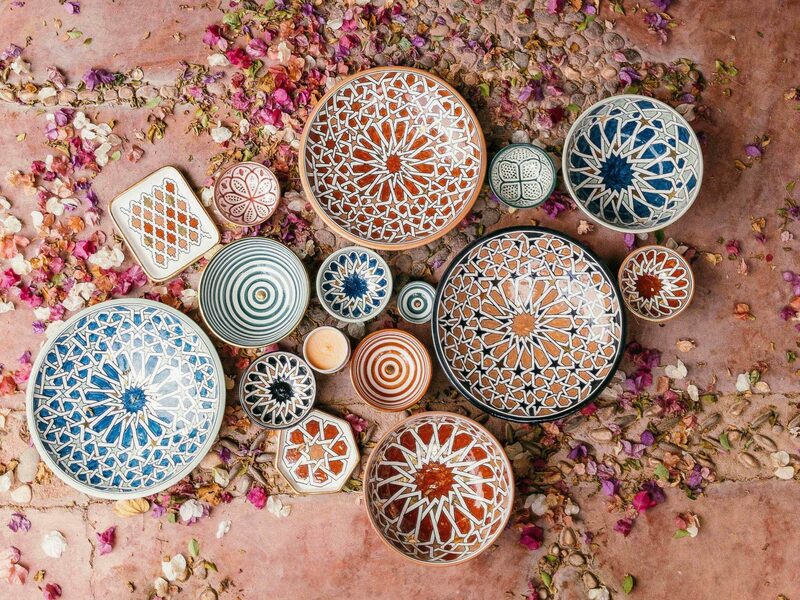 Founded by Parisian duo Vanessa Di Mino and Nadia Noël, the store carries an enviable selection of kitchen wares, home goods, cosmetics and more, all one of a kind and handcrafted in Morocco. 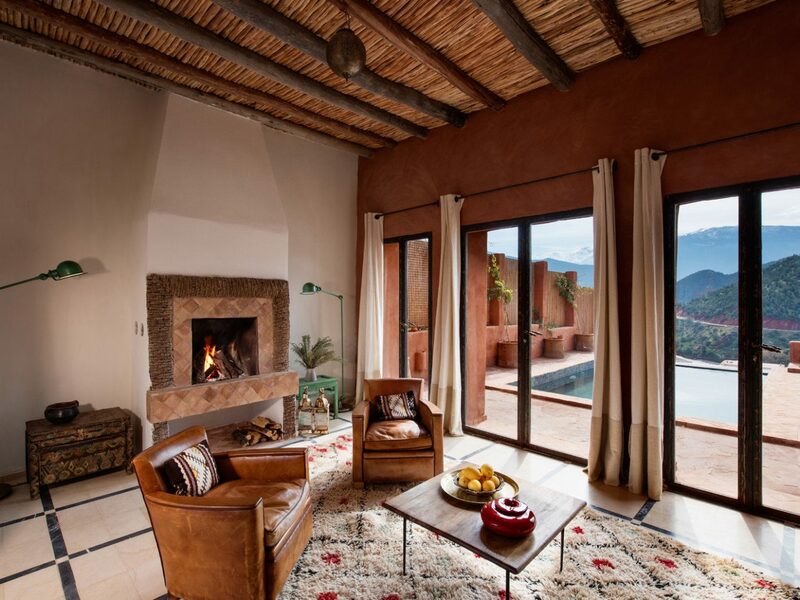 Next, head to the family-run Lahandira, a favorite of designer Mara Hoffman and ideal spot for authentic Moroccan rugs. 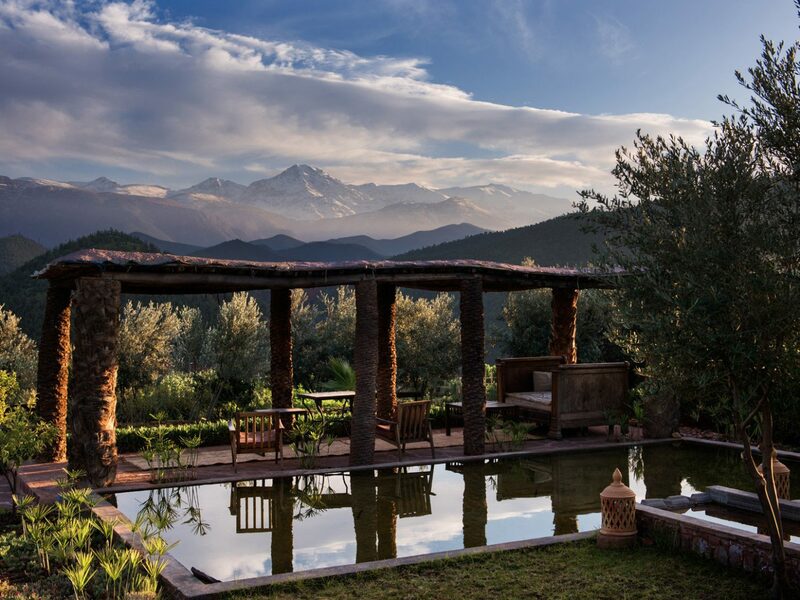 When relaxation calls, escape to the Atlas Mountains where the Kasbah Bab Ourikas is a luxurious ode to Berber culture and design and features panoramic views of the mountains and Ourika Valley. 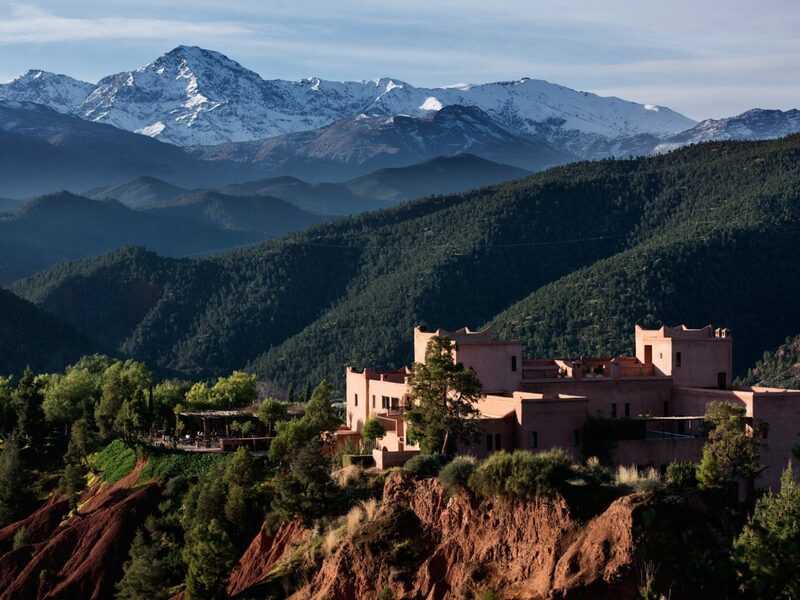 The hotel’s 26 rooms are all individually decorated in muted neutrals and earth tones that reflect the surrounding landscapes, with one-of-a-kind artifacts that at one time had functional uses in Berber culture. 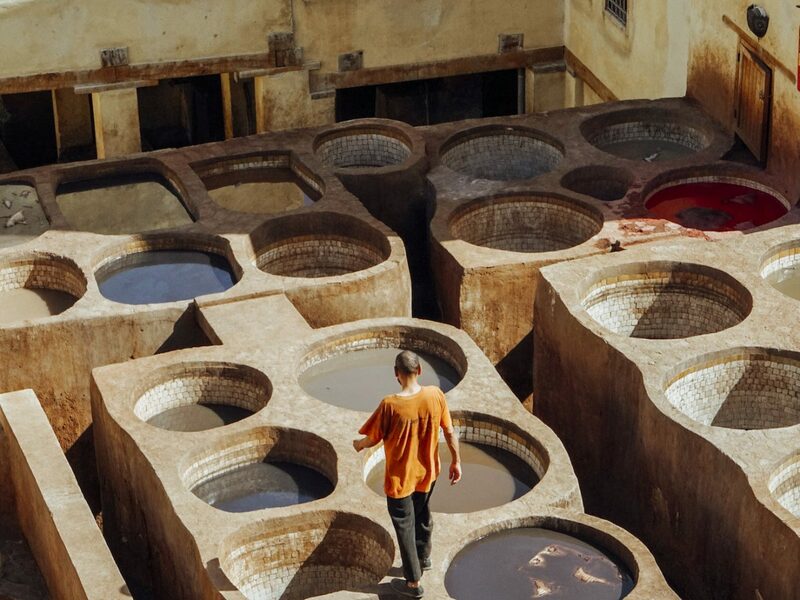 The smell might scare some away (cow urine and pigeon poop have been used in the tanning process since medieval times), but a visit to the tanneries in Fes is an essential component to understanding Morocco’s leather industry. 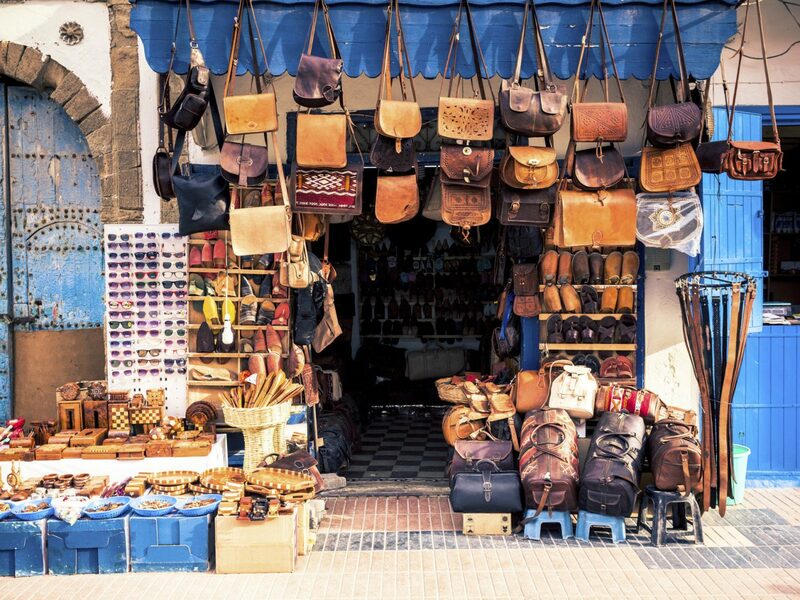 Especially for those in the market for new leather goods -- perhaps a pair of pointy Moroccan slippers, crossbody satchel or a classic Moroccan pouf -- the shops surrounding the tanneries are the place to do it (just ask for a mint leaf if the smell becomes too overpowering).